2 Bedroom Flat To Rent in Nottingham for £1,000 per Calendar Month. 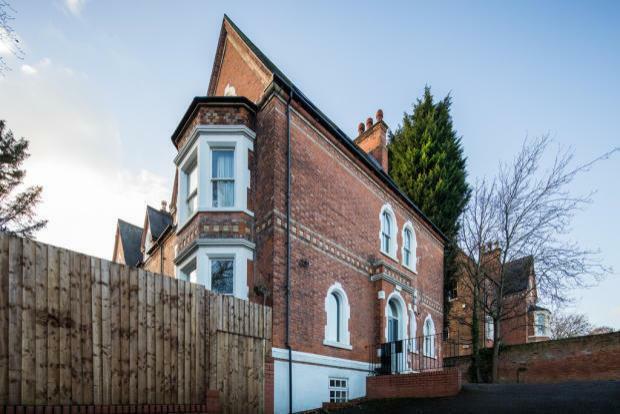 Ideally located, the private estate of The Park is within walking distance of Nottingham City Centre and also offers picturesque and peaceful living. Located on the first floor of this well maintained and beautiful conversion, the property benefits from having off road parking along with ample on road parking available. The apartment offers an ample amount of space throughout. Neutrally decorated throughout, the large lounge benefits from views of Nottingham Castle, additional mood lighting to the walls and fresh carpets. Leading through to the kitchen, there is a range of low level and wall mounted units along with a large amount of kitchen worktop space. Included are an integrated fridge and freezer along with a free standing second fridge freezer, a dishwasher, washing machine, oven, gas hob, extractor and microwave. Access to the kitchen can be gained through both the lounge and hallway. The bathroom has the highest finish, with a modern and stylish affect. The tiled bathroom has a seperate bath and shower, towel rail, WC and hand basin. Two double bedrooms continue the neutral and modern finish and offer more space - including a walk in wardrobe to the master bedroom. Please call Jessi, Jessica or Emmie on 0115 9620961 to arrange your viewing.